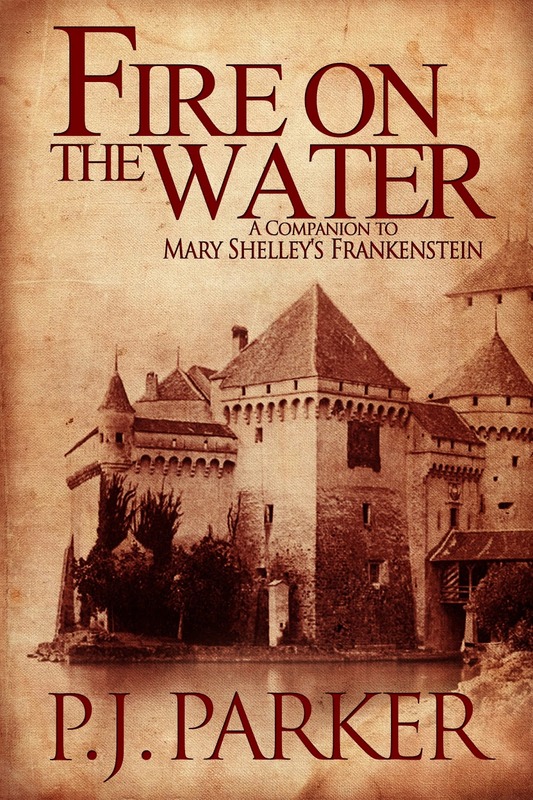 Everything about this cover adds weight to its accompanying novel and its inspiration, Mary Shelley's Frankstein. This cover screams old world fiction with gothic themes - alluding to the presence of evil, mystery and possibly the supernatural. The summary alludes to a more modern understanding of the events described within the original Frankenstein story. I honestly can't wait to read this book, a totally intriguing concept. PLUS I've heard from a very reliable source that it's a great read! Rachel, a young American biographer researching the life of Mary Shelley in Montreux, Switzerland, is entangled and consumed by the escalating threads of her investigation. Shards of Shelley’s creation are exhumed from the past. Precious memories are hacked and sutured to the unthinkable. The unblemished flesh of the one she loves is stripped back to reveal what lies beneath—aspects of Frankenstein incised and ripped from the nineteenth century and transplanted into her own. The archival records contained within the chiseled stone of Château de Chillon give some insight into a life long gone. It is, however, the contents of a document trunk that has remained unopened for generations that discloses what truly occurred in the idyllic Swiss Riviera village of Montreux to jolt the monster into existence. Personal letters and diaries detailing events, suppers, lectures, and conversations between Mary Shelley and her confidant, Doctor John Polidori, reveal a spiraling progression of horrors, dismembered cadavers, and uncertainties. Doctor Polidori assists the local gendarmerie in their investigation, unaware of how closely the knife will cut to Mary’s life and his own. Rachel is drawn into the centuries-old conversations as she attempts to discern fact from fiction. But opening the trunk could not come at a more difficult time for Rachel. Her boyfriend has recently been killed in a motorbike accident and now, as she attempts to reconstruct her life, she is repeatedly confronted by a man of gigantic structure, of uncommon beauty, of intriguing origin. 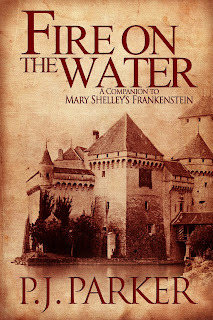 Fire on the Water: A Companion to Mary Shelley’s Frankenstein interweaves Rachel’s search with the plot of Frankenstein and the horrific occurrences of the summer of 1816 when Mary Shelley dared to dip her quill into the ink of her darkest of waking dreams. The truth is given life. P.J. Parker was born and raised in rural Australia. 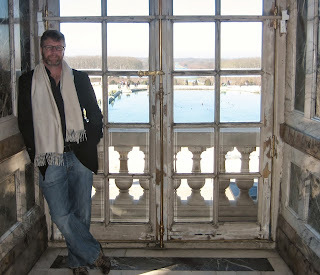 With a bachelor of science in architecture from the University of New South Wales, he has traveled and lived extensively around the world, focusing on cultures of historic interest and buildings of architectural significance before transitioning into a career as a fraud analyst and programmer with a leading international financial institution. An avid reader and researcher, P.J. 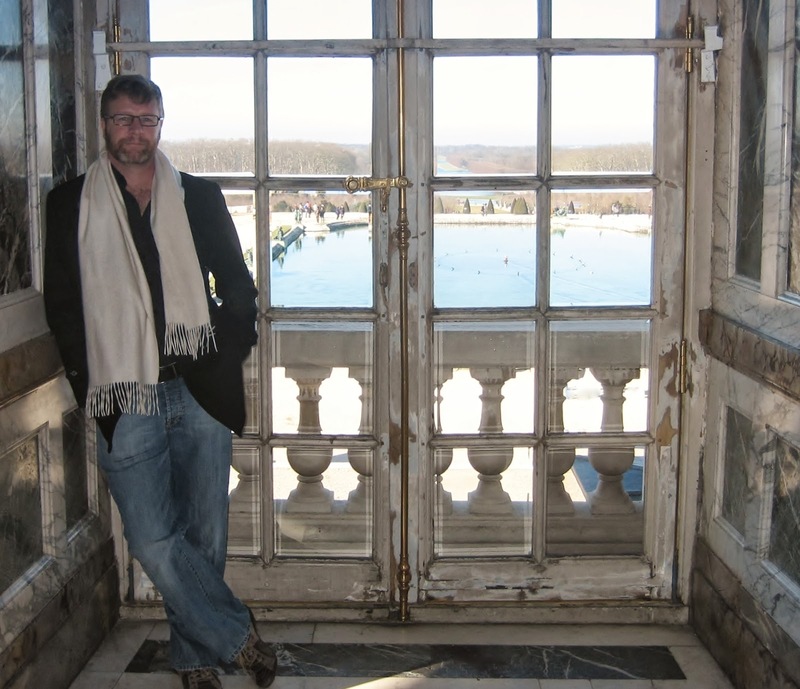 undertakes his writing with a passionate and exacting attention to detail.